With interest mounting in using wildflowers in urban landscapes, there is a huge demand for information for those new to Florida’s native plants. 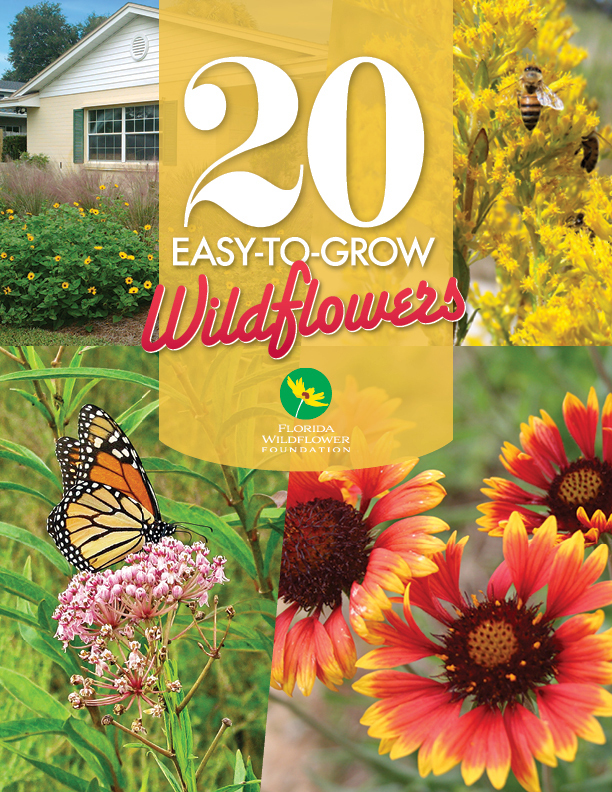 Enter “20 Easy-to-Grow Wildflowers,” a new publication from the Florida Wildflower Foundation. The free 24-page magazine features a selection of 20 “tried and true” species that are easy to grow and maintain. And, with interest in supporting our beleaguered bees, butterflies and wildlife at an all-time high, readers will find that the selected plants excel at providing nectar, pollen and habitat. 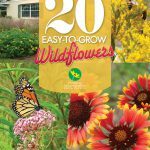 Featured species are Asclepias, Conradina, Coreopsis, Chrysopsis, Gaillardia, Liatris, Scutellaria, Dyschoriste, Helianthus, Monarda, Pityopsis, Rudbeckia, Ruellia, Salvia, Solidago, Silphium, Glandularia, Senna, Hypericum and Symphyotrichum. Each species profile includes color photos, a description of the plant and its genus, tips for landscape use and maintenance, and ideal site conditions. Eighty thousand copies have been printed, a third of which are already on the way to Florida residents and landscape professionals statewide. The publication also is available online for download – click here. The Florida Wildflower Foundation received a grant from Stanley Smith Horticultural Trust for the project, which includes the publication, a continuing education course for horticultural professionals, and live social media events. The project is produced in partnership with the Florida Association of Native Nurseries and the Native Plant Horticulture Foundation. To request copies to distribute at a meeting or event, click here to go to our publication request form. To request more than 200 copies, please email Info@FlaWildflowers.org.